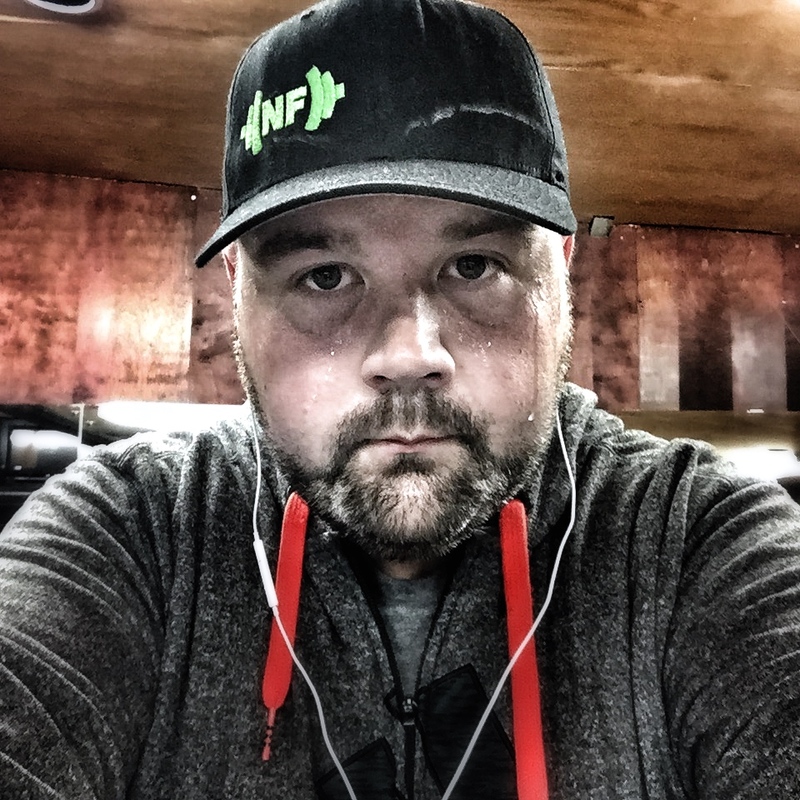 FAT MAN WALKING | Follow Jay's journey from 460 pounds. 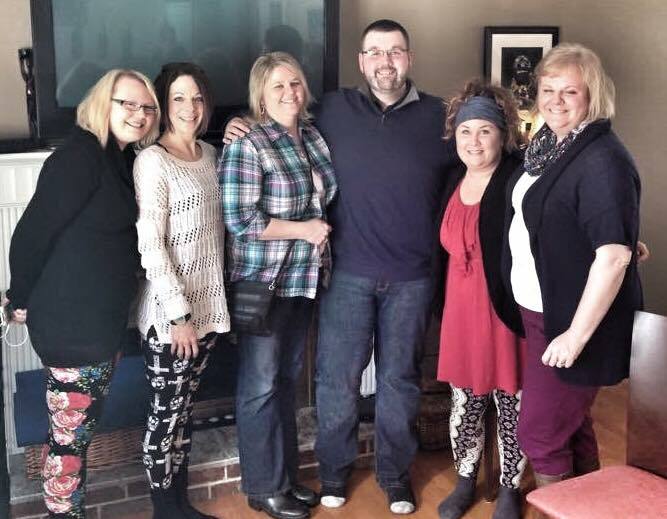 Follow Jay's journey from 460 pounds. A friend of my mine recently sent me some interview questions for a project he’s working on. I likes these questions because they’re really broad and writing the answers reminded me just how much my thinking has changed. You should think about your answers to these questions too. You may have changed more than you’re giving yourself credit for. I’ve been “happy” since I first accepted that what I’m really after is satisfaction, and that I can be satisfied and failing at the same time. Follow me here! I find satisfaction in routine and progress. My commitment to living a whole life, and sharing that life with those I love brings me great satisfaction. But there are days I stumble, fall, fail, and feel doubt. I have learned to be satisfied on those days. I find satisfaction in my commitment to change, to being more like me every day, and for learning to get out of my own way. But honestly? Happiness is overrated. Find satisfaction. Seek out joy. Happy is a temporary high that can be brought to the floor by sadness and setbacks. 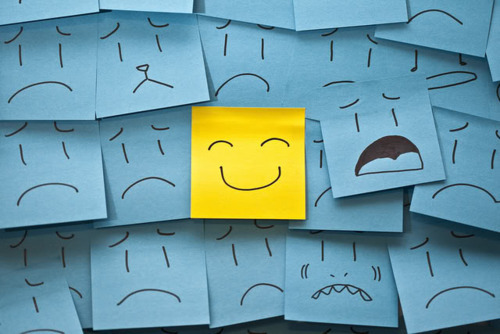 Joy is a state you can still be in while experiencing all of the emotions that come as you react to your day. If you’re living every moment at that base, emotional, reactionary level you’re giving far too much power to things outside your control. Reach for joy, and let everything else just happen. Being loved is random. It’s completely out of my control. I can’t make someone love me any more than I can make the sun shine at midnight. I can buy it all the dinner and drinks in the world, I can sing and dance, and fully commit myself to its happiness – but that sun won’t shine at midnight. You can’t make it happen. To love? It takes conscious courage to take the risk. Even in the heartbreak that comes from complete rejection, there is joy in feeling something that deep. Some people go their whole life without that kind of passion. Even unrequited love reminds us of our emotional capacity and our desire for that connection. But even in a loving relationship there is always one who loves more. A shared life is a 50/50 split, but love rarely is. It shouldn’t be measured or compared. It’s not important that you love me like I love you. The whole thing will be much better if you love me like only you can. So, I will simply say that love is important to give and receive, but since I’m only in control of what I put out in the world, I choose love. Everyone should always be falling in love. Quickly, slowly, off a cliff or down a gradual hill – I think romance makes the whole world glow. So love. I could say my parents for the incredible way they built our family and provided for me and my brother. I could say just my dad for showing me that a man just does what he has to do to provide for those he loves. I could easily say my mother for her strength – building a new life alone after my father passed away, and for the unimaginable amount of pain and frustration she lives with every day as rheumatism turns her own body in to her greatest challenge. I could say my brother for being the kind of brother every little boy should be lucky enough to have, and for being the kind of friend that every man should have in his corner. I could say any number of family members who have battled cancer and were forced in to a fight they didn’t sign up for. I could say my cousin Jimmy, who I didn’t know well, but whose life of service brought him to breathe his last breath on a dusty road in Afghanistan. But I don’t believe in heroes. I believe in people. We hold heroes up for their successes and feel bad for our own shortcomings. The truth is even our heroes have flaws and failures that stand to teach us just as much as their successes. I believe in finding those lessons even if they’re packaged in the most unheroic of people. Heroes make for good stories. Mentors are who create lasting change, and I have incredible mentors in every aspect of my life. What defines having a successful live? We all just want to be missed. When you leave the room, when you leave a relationship, a job, or this life – we just want our absence to be felt because it’s proof we mattered. A successful life, in my opinion, is one that has touched other people in a way they will miss when you’re gone. They will know their experience was larger because you were a part of it. When all that’s left is the memories and the words I leave behind – will people choose to keep some small part of me alive with their thoughts after I’m gone? The successful life is one that is lived with joy and generosity because people never forget how you make them feel. The unsuccessful life, then, must the one most easily forgotten. How selfish a life must you have lived to be missed by no one? We aren’t what we think. We’re what we do. This little guy wasn’t having any of it. I stood there along the side of the road, leaned forward, raised my camera, and snapped his picture. While the camera was still against my face I heard the scissor flaps of this tiny chickadees wings and saw a shadow rush toward me – first through the viewfinder. I dropped the camera, letting is hang from my neck, and looked up in time to see him circle back and land on a tiny twig of a branch of this bush tree. I reach for the camera again and with a whirr he flies by, just inches from my face. There were seven birds in the tree, but only one with enough attitude to puff out his chest and gun for my face with his best “Come at Me Bro!” look of determination is his usually nervous eyes. My presence scared him. The camera to my face, my slow motions, it was all enough to put this guy on edge. Against his better reason, he decided not sit furtively on the tree and hope I’d move along. He flew into action. He decided to protect what was his. Even if he didn’t know how I’d react. I’ve been that bird. Well, I like to think I’ve been that bird. Feeling really small against something big, you find the courage somewhere to do something big and bold and hope that it’s enough. In our best moments we choose to act, no matter the odds, because inaction is a certain loss. I’ve been working with a counsellor for a bit now. It’s been three years since I changed my whole life, and in a lot of ways, I’m just a toddler to this new way of living. Honesty. Accountability. Trust. Love. Self Respect. I don’t have a long history with a lot of the things that now seem incredibly important to me and that’s been overwhelming. I’ve lived with a new fear of building up a life of my own, but on a foundation that’s too weak to hold it. After two amazing years I began to fear losing the second chance I’d been given. 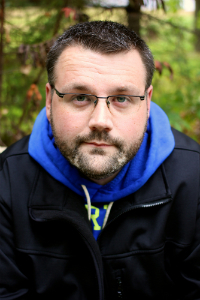 I still remember how it felt to be 460 pounds, isolated, alone, and hopeless. I remember it because those feelings still show up. They’re not with me every minute the way they used to be. Now they just show up, a black cloud ready to shade me through a moment of doubt. When I skip a workout, I remember . When I make a bad meal choice, I remember. When I stare at the clock at two in the morning, filled with fear and doubt, and feeling just as isolated as I did three years ago, I remember. When I find myself alone in my head, I can’t help but remember. And then I catch my breath and remember that a lot of my bad choices were made in those dark corners, and success is accepting those feelings and fears and then still making better choices. My food issues hid in those dark corners, and they still do. My insecurities hid in those dark corners and still do. It makes you question every reaction you have to things happening in your life, as your emotional reaction is filtered through your past and all of your experiences, but then you’re outward reaction is a strategic choice toward growth and development. It balances out the highs and the lows, but a chunk of the thrill of life is riding those highs and lows. The world becomes kind of grey and safe when you’re always trying to do what’s responsible. My fear is that predictable pattern of that life will drive me to find highs and lows – either in the ways I used to, or in entirely new self-destructive ways. So you stop, you breathe, and you throw yourself at survival. It’s the only way a chickadee decides to attack a guy as big as me. There’s a small hill overlooking the Atlantic Ocean, just behind The Miner’s Museum in Glace Bay. It is one of my favorite spots in the world. It’s a place to go and feel small. I makes me feel grounded. I’ve had a lot of happy moments there – everything from my first kiss, to sitting alone staring at brochures trying to decide where to move after high school. There’s been a lot of sad moments there, too. It became a spot to sit quietly after a loss – a break-up, a death, a job interview I thought I had in the bag. On that little hill, beside the roaring ocean, I knew my place. It grounded me. It gave me perspective. Through the highs and lows it reminded me that feelings are temporary, and that if you just wait a second, another wave will come along. It’s unending and always changing. 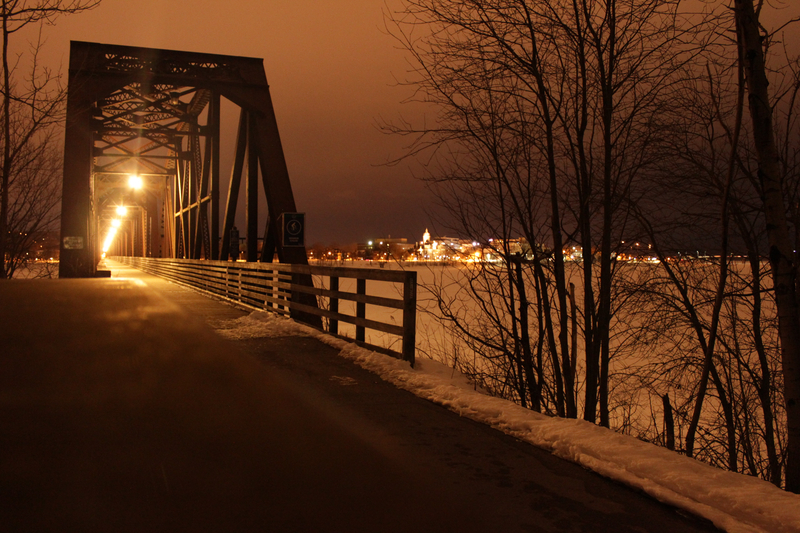 Here in Fredericton The Walking Bridge has become that special place for me. The symbolism isn’t lost on me, either. Earlier in my life I was content to sit on the sidelines, safe on shore, and let the ocean make me feel small. Now, its about a bridge. A place from A to B. I’m inbetween. I’m not where I was, yet, somehow, still not where I’m going. If that hill in Glace Bay grounded me, this bridge suspends me and reminds me there is choice. It’s not a spot for quiet acceptance and “what will be, will be,” it’s about getting from here to there. It’s about crossing that divide. It bridges the gap – and that’s what gives us hope, power, and choice. I focus on the gap a lot. I deconstruct the divide that exists between where I am and where I want to be. I look at every situation, every relationship, every opportunity and rather than focus on what it is now, or focus on what I want it to be in the end and find motivation in that, I focus on the gap. The shortcomings. I focus I what I don’t have. I focus on what things aren’t, instead of what they are or what they could be. I feel things deeply. I don’t dislike that. My highs are high and my lows are low and for a bunch of a reasons I generally keep that to myself. One of the things I respect the most in other people is emotional consistency and it’s what I try to bring to the world. It’s not a mask. It’s not fake. It’s just a compromise between the highs and lows. It keeps you even and lets people know what to expect. I’ve always viewed it as being emotionally responsible because I’ve felt the burden of trying to navigate life with those who take no responsibility for their emotions, or the actions they fuel. When you take your first steps on to The Walking Bridge can’t see the other side. It’s too long. The horizon is taken over by the wooden planks in the very centre, where it rises to a small peak. You can’t see the other side. You don’t know where you’re going. In fact, you don’t even really know that the bridge is finished and actually connects on the other side. If you only focus on where you’re going, there’s a chance you never start because you can’t be sure that’s where the bridge is taking you. You can’t see there from here. You can’t see B from A. If you’ve put in the work, and made the right choices, you have to trust the bridge you’re building will get you there. This week I was shown that I’ve spent a lot of time and energy building a bridge that goes somewhere I didn’t expect. When I started out on one side I thought for sure I knew what was on the other. I was wrong. Imagine you were expecting Disneyland but landed somewhere else instead. I’m not saying I won’t enjoy the trip, I’m just saying it’s not going to be the Disney adventure I’d been dreaming about. My frist reaction? I want to go sit on the hill by the Atlantic and feel small. I want to know that another wave will come along. But I’m not safe on the shoreline anymore. This is the risk of real life and I hate how uncomfortable it makes me. Still, that knotted feeling in my stomach reminds me how far I’ve come because I never knew the risk of not getting what I wanted when I was too broken to want for much of anything at all. Confidence is a habit. So is doubt. I’ve written about building confidence a thousand times, and I’ve talked about it with support groups for hours. My confidence has grown out of habit. In the early days I thought “fake it til you make it” was the guiding principle, but I wanted to understand it deeper than that. Faking it was how I lived for too long. I didn’t want to pretend. I wanted genuine confidence. In time I learned that confidence is simply a growing belief in yourself. Likewise, doubt is a habit. Doubt is simply a growing disbelief in yourself. It starts as a whisper. They call it a “sliver of doubt” and in time you become used to that level of disbelief. You accept that you doubt certain things about yourself. The first few times the thought occurs to you out of legitimate concern. Eventually though, the concern gives way to routine and now you aren’t questioning if you’re capable, you’re accepting that you’re incapable. 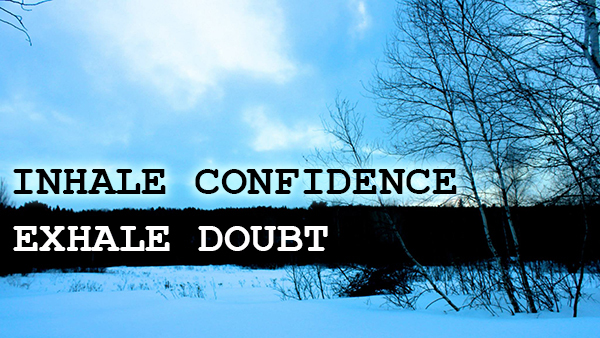 Doubt is debilitating. Doubt is what keeps us from picking up the phone and calling someone we want to talk to. It’s what keeps us from speaking out in a meeting. It’s what keeps us from telling the truth to a friend who asks for it. Doubt is a whisper that grows to a growl, a yell, a scream, living in your head, and eventually it’s an equal voice in every decision. Tragically, for some it becomes the guiding voice. Doubt replaces reason. It becomes the reason. It keeps you from reaching too far, or dreaming too big. It tries to keep you in check. Stay there, right where you belong, where you’re comfortable. Then, someday when you don’t even realize it, doubt doesn’t just keep you from reaching too far, it keeps you from reaching at all. You’ve doubted yourself for so long that now your default internal thought is doubt. Your internal response is inaction. Our lives are filled with moments that matter – but they aren’t all first kisses, wedding days, job interviews, and huge personal achievements. Those moments come with flashing lights – we know they matter. We see their potential, and we summon the confidence to bring our best to that moment. So many other moments matter though. So many moments that we let pass us by because they don’t come with flashing lights. When we don’t have time to build ourselves up in advance we meet those moments with doubt, often without even realizing it, and the opportunity is gone before you dared to dream it was ever in your grasp. In some ways it’s a screwed up defence mechanism we build around us. If I don’t let myself want it, I can’t possibly miss it. The risk of desire is longing. Sometimes the biggest risks we take are in the moments before the moments that matter. Before the first kiss, there was the moment your confidence beat down your doubt and you asked her out. Before the job interview there was the moment your confidence beat down down your doubt and you send in your resume. The moments before the moments that matter, sometimes matter more. Bring confidence to every moment, and not just the moments you think require it. Don’t temporarily bring confidence when you need it. Be confident. You always need it, because sometimes the moments before the moments that matter actually matter more. I met with a wonderful support group in Fredericton yesterday and a good part of the conversation was about how we identify the underlying issues beneath our weight problems. We all gain weight by eating more than we move, and we all lose weight by moving more than we eat. Every infomercial, trendy program, and quick-fix fad tries to convince you it’s more complicated than that. But it’s just math. You have to burn 3500 calories to lose a pound of fat. If you eat 1200 calories a day – that’s 8,400 calories a week. If you’re burning 1000 calories a day – you’re only burning 7000 calories a week. That gives you a calorie surplus of 1,400 a week. At that rate you’ll gain a pound every two and half weeks. Success is in the calories deficit. Same scenario – you’re consuming 1200 a day, 8400 a week but now you’re moving more and burning 1500 calories a day. That’s 10,500 calories burned each week. That creates a weekly calorie deficit of 2,100 meaning you’ll drop a pound every 12 days. There’s really no magic to it at all. So if it’s that simple, why does it feel so much harder? Why do some people struggle for a lifetime with the same fifteen pounds, and why do others need something like lapband weightloss surgery? The logic behind creating a calorie deficit is simple, but as anyone with food issues knows logic has vey little to do the choices we make. When I think back to my choices as I climbed to my highest weight, there wasn’t a whole lot of logic to be found. What was making me eat the amount of food I was eating? I was hitting up a drive-thru and ordering six burgers a few times a week, and ordering a large pizza and garlic fingers as a party-for-one every Friday night. I was drinking more than two litres of Coke Zero everyday. Even in my ignorance and denial some part of me knew that wasn’t logical, right? Lasting change comes from addressing the underlying causes. Subconsciously I was making the choices that would be give me the body (and therefore the life) I actually wanted. If I made bad choices, and grew larger than normal, I could shake off all the expectations that come with being normal. Those of us with food issues eat to give ourselves the body and life we think we deserve. I didn’t think I deserved much so I made choices that shut me down, isolated me, and slowly drained away every ounce of hope I had. Gone were the dreams of a career, I was just happy to have a job. Gone were the dreams of meeting someone special and starting a family, I had accepted that no one would willingly share their life with someone who made the choices I made. Gone were the dreams of the boy who wanted to write, and travel, and experience a world bigger than the one he grew up in. Gone were the dreams. At the start of my journey I just focused on the math and it worked. Long before my surgery the pounds were coming off because I had changed what I was eating and I had started moving. From my moment I finally found out what I weighed to the moment I got on the operating table for my weight loss surgery I was down 60 pounds. I had done that by giving in to logic. Face your fears, find the strength, and trust the math. The pounds started falling off. As the weight came off the world opened up and one choice, one pound, one step at a time I was realizing the world was much bigger than I believed it to be at my heaviest. So now, with almost three years worth of highs and lows under my (much smaller) belt – I realize the real reason I’ve stayed on track isn’t because I wanted a smaller body, or simply to be healthier. I’m not motivated by a number on a scale or a suit in my closet I’m still trying to fit in. Every step of the way I uncover another piece of my worth. I believe in myself more everyday – even on the weeks the scale doesn’t move (or moves the wrong way.) The best motivation is the reintroduction of those dreams you had pushed aside and left for other people to live. The calorie deficit is how I’m losing weight. But why am I doing this? Why am I still so passionate about this? It’s because of those dreams. I go places I’ve never been before. I’ve beaten the social anxieties that poisoned me for years. I’m comfortable in my own skin…even if I wish there was less of it. I have a passport because I remember telling Mr. Donovan in Grade 4 that when I grew up I wanted to be an explorer. I now believe in love and believe I am worthy of love. I hold my worth inside me and fight for it everyday because I’m the only one who can. I do this because I still have dreams and because I have found hope. There’s more power in that any number on a scale or a size tag on a suit. When I bring this message to weight loss groups there are usually a lot of tears, one or two who react angrily because I’m holding them responsible for a body they feel victimized in, and there is the one or two who nod because they get it. Yesterday – there was a room full of nods. That’s what support looks like. Change isn’t accidental. It’s created. These are the four things I do every day to ensure I’m encouraging that change to continue. Invest in your body. Sweat for at least thirty minutes a day just to feel alive. Experience your own strength. Find your limits. Push yourself to the brink and one step past just to feel that high. It’s better to be sore than sorry. Let the sweat wash all the doubt and negativity right out of your system. Do it early. Start your day with a win you can build on. All it takes is deciding to do it. Invest in your mind. You don’t know a fraction of what you could know if you just tried harder. So why aren’t you trying harder? Watch a TED Talk every morning, follow a blogger or columnist that challenges your way of thinking. Don’t just read and watch things that reinforce your view of the world. Give yourself the freedom to think about things you don’t have to. Practice thinking. If the only time you’re problem solving is when you have a real problem that needs to be solved – the stakes are too high. Look around you, deconstruct and analyze. What would you do differently? What could be done better? If nothing comes of it, then you’ve just exercised your brain. Who knows? In the process you might just think of a way to build a better mousetrap. Invest in your heart. Be selfless. Do something motivated by nothing but love. Consciously do something every day to show someone you love that they matter. Consideration goes a long way. Have a big presentation to give at work? Chances are your boyfriend or husband can’t help you too much with the actual work. But you know what? The fact they scraped the ice off your car this morning shows they’re on your side. We all just want to know someone is in our corner and that we’re not nearly as alone in this world as it can sometimes feel. Don’t wake up every day asking why no one is in your corner helping you. Be there for someone else. It sounds corny as hell but let love move you to do something and expect nothing in return. This takes practice. You honesty can’t expect anything in return. Don’t keep a mental list. Don’t bring any of it up in a moment of anger or to hold against someone. An act of love exists on its own. Reciprocity is wonderful but it’s not the point. Invest in your soul. Nothing in this world feels quite as great as talking to someone about the thing they are most passionate about. Do that every day. But there’s a catch. Don’t tell your story. Don’t try to one-up them as they tell their story. Be curious, as questions, resist the urge to judge or jump to conclusions. You’ll be amazed at how comfortable they get, how much their guard will come down, and how much you can learn from someone when you put your ambition and your agenda on the back-burner. You can’t do this with everyone – but do it once a day. Even if it’s just a five minute chat in the grocery store lineup with a complete stranger. Experience that connection, appreciate their perspective, and find what motivates them and their passion. It will move you. I’m at my best and having my best day when I take the time to invest in my body, mind, heart and soul. If you can do these things you’ll always be changing, you’ll always feel like you’re progressing, and you’ll become a stronger more balanced person every day. The hard part? You can’t do it alone. A whole life is meant to be shared. That’s been the biggest change of all. You’ll never be your best if you’re trying to do it alone. You’ll never change if your way is the only way you know. It’s scary but it’s worth it. Can A Tiger Lose His Stripes? You can’t quickly kick aside the shadow you’ve earned, stuck to you, it seems, larger than life. Just because you know you’ve changed, it doesn’t mean everyone you’ve ever wronged got the memo. Even if you’ve written a book on change, there will be those who question if it’s even possible. Can the tiger ever lose his stripes? I’m not who I used to be. I feel that difference in my bones. Those closest to me are surely tired of the way I talk about those disconnected years as if they were lived by someone else, and as if someone else is responsible for my mistakes back then. I’ve written about this a lot – the lack of respect I had for myself, my finances, my relationships, my friendships and even my family. When I talk about the decisions I was making at that point in my life it’s easy for me to talk about those things as if they were done by someone else. I accept that it was me, that’s part of recovery. It’s why so many of us move after treatment. We want to be away from the knowing glances of those who’ve seen us at our worst, and of those who suffered because of our selfishness. Consequences are lasting. You can stick a rose in a gun barrel and and call it a vase, but that poetry can’t stop every bullet already fired. For years I was a gun. I fired bullets. It makes sense that some of those who knew me then still flinch when they see me now. They’re waiting to be let down. They’re waiting for the next lie. They’re waiting to be hurt. I say I’ve changed. They say I’ve just shrunk a bit, and that the tiger still has his stripes. I’ve written about guilt a lot. The weight we carry from the lies we’ve told can’t be measured on a scale, and long after the pounds start coming off there will be reminders – often daily – that make us confront the impact we’ve had on those we love. It’s hard not to think about that, and watch for that behaviour, and be afraid of old habits returning. it’s easy to stick your eyes in the rearview mirror too much, and lose sight of the road ahead. It’s easy to live in your head. It’s easy to overthink after years of underthinking. Now, those constant thoughts of questing motivations and decisions can be crippling if you let it get out of hand. You go from being numb to oversensitive and suddenly you’ve just traded in your problems. You went from one extreme to the other. For a decade I felt nothing, and now I question if every thing around me is somehow my fault. You become polite, and accommodating, and diplomatic, and apologetic, and if you’re not careful you become a doormat, working toward the happiness of those you care about now, as if that somehow makes up for those left in your wake. 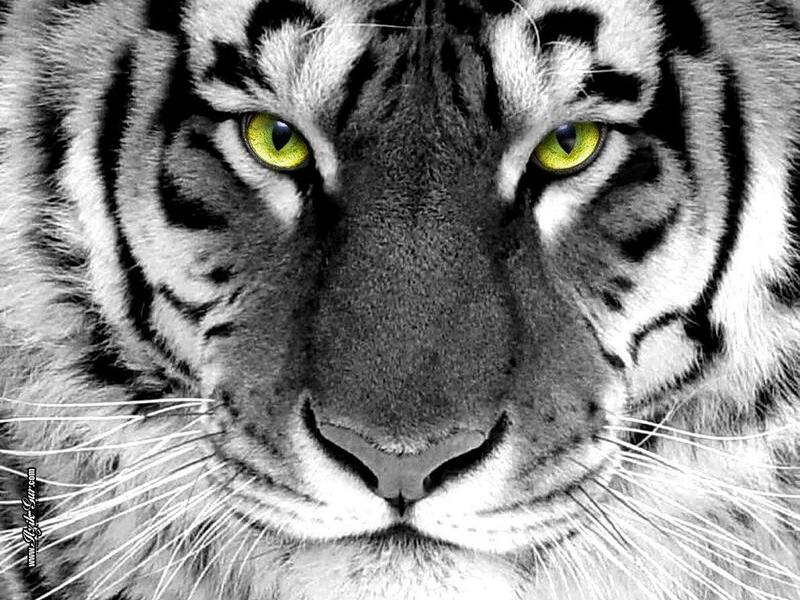 I know a tiger never loses his stripes. I still have the capacity to be just as disrespectful to myself and others as I was back then. I look in the mirror and see my stripes everyday. I see them stretched up and down my body and I know that I have done more than shrink a little. I have changed, and not a single person I’ve wronged owes me a second chance. I can spend my time begging those people for second chances, or investing in the relationships I have now, trying to be who I want to be more than anything – someone honest enough to get the first chance right, and someone wise enough to never again have to ask someone I love for a second chance. That’s acceptance, and for me that’s progress. Guess who showed up at my door?